How to tell if you are Suffering from Mercury Toxicity Right Now. Over the past 100 years, we’ve seen a 30-fold increase in mercury deposition, 70 percent of which is from human sources. The more mercury we are exposed to, the more we are likely to become toxic. Readers frequently send me mercury questions, so I want to address the most common ones here. What type of mercury creates most harm in humans? Of the three types of mercury, humans are most exposed to methylmercury or organic mercury, and the primary source is fish. Where does mercury reside in our bodies? Methylmercury is found predominately in red blood cells. That’s where most doctors check when they do a mercury blood test. Unless you’ve been eating fish with mercury recently, you won’t see your total body level of mercury. That’s because mercury also concentrates in fatty tissues, especially your brain. Blood levels, then, aren’t an accurate measurement of your body’s total body mercury burden. Inorganic mercury from dental fillings (amalgams) exists in plasma but becomes rapidly cleared and stored in your tissues. The body also converts inorganic mercury from methylmercury, the main form of mercury in the brain that can lead to dementia, autism, ADHD and more. Where does mercury exposure come from? Why should pregnant women become especially concerned about mercury? Once mercury enters the body, it becomes primarily distributed in the kidneys and brain and can be readily transferred to the fetus via the placenta. I’ll discuss amalgams later, but for now, we know mercury levels in the human placenta correlate with the number of maternal amalgam fillings and that a substantial amount of mercury from amalgams reaches the fetus. How can I get rid of mercury? The only way it can get out of your body is via urine, feces, expired air and breast milk. Mercury becomes toxic because it has the ability to bind to sulfur-containing molecules in the body (found in nearly every enzyme and in the mitochondria), as well as other chemical binding sites in the cells. What are signs of mercury toxicity? Erethism (“mad hatter syndrome”) is one form of mercury toxicity. Erethism’s symptoms are shyness; laughing, crying and dramatic mood swings for no apparent reason; nervousness, insomnia, memory problems and the inability to concentrate. Other neurologic symptoms include encephalopathy (non-specific brain malfunction), nerve damage, Parkinsonian symptoms, tremor, ataxia (loss of balance), impaired hearing, tunnel vision, dysarthria (slurred speech), headache, fatigue, impaired sexual function and depression. Gastrointestinal symptoms include nausea, vomiting, diarrhea and colitis. Should I become concerned about amalgams? A recent study in the Journal of the American Medical Association found no significant neurologic or behavioral changes in children who had mercury amalgam (silver) fillings, compared to kids who had composite (white) fillings placed. But there were significant problems with that study. First, the duration of the study was short and the effects subtle. Second, they failed to emphasize that the kids who had the silver fillings had much higher levels of mercury in their urine than the kids with white fillings. To me, this proves mercury fillings in your mouth release mercury vapor absorbed into your body, ending up in your urine. Whether your fillings are new or old, the mercury in them is constantly absorbed into your body. Even if you stop being exposed to that mercury, it sticks around. It takes up to 18 years for the body to clear half of the dose of mercury from the body. People with amalgam fillings have significantly elevated blood mercury levels, three to five times more mercury in the urine, and two to 12 times more mercury in their tissues than those without amalgam fillings. However, blood and urine mercury levels don’t necessarily relate to the mercury load in your body tissues or severity of clinical symptoms. Research on sheep and monkeys with dental amalgams has shown that blood mercury levels remained low, even though their tissue mercury levels were raised. Regardless of this and other research showing amalgams can be harmful, most dentists don’t appear concerned. The American Dental Association still claims mercury or silver fillings are safe. Interestingly, the Environmental Protection Agency (EPA) considers old mercury fillings that have been removed from the body toxic waste. 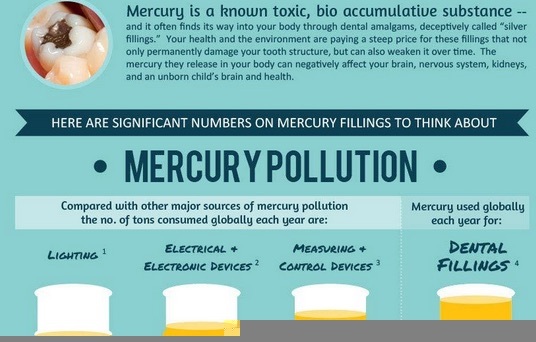 Why is it okay to put mercury fillings in your mouth but not to throw them out in the garbage? Are there studies showing mercury is harmful? In 1990, Dr. Lindvall began a study at Uppsala University Hospital in Sweden to diagnose and treat 796 patients with suspected amalgam-related illness. His study found silver amalgams can cause health problems, and that removing the fillings can help relieve these problems. Research shows patients with chronic fatigue and autoimmune thyroiditis show improvement in their health status after their amalgam fillings are replaced with composites. In another study, 71 percent of people with autoimmune diseases, including multiple sclerosis, improved after amalgam removal. Low-dose exposure to inorganic mercury may be a contributing factor in the development of autoimmune diseases. Animal and lab studies suggest that exposure to metallic mercury may cause nerve cell damage and promote the plaque found in the brains of Alzheimer’s patients. Mercury from dental amalgams in pregnant women may also contribute to development of autism in their children. In one study, mothers of 94 autistic children had statistically more amalgam fillings during pregnancy than 49 mothers of healthy kids. In contrast to their higher mercury exposure during pregnancy, these autistic children had reduced mercury levels in their first haircut, since mercury exposure can be measured in human hair. This may reflect a reduced capacity to excrete mercury from their body, which in turn may lead to elevated brain mercury levels. Why are some of us better at releasing mercury than others? Some of us are good at detoxifying mercury and other toxins, while some of us store toxins like a toxic waste dump. Genetic variations (called polymorphisms) make some people more prone to metal toxicity. One gene in particular is important because it’s related to the body’s production of glutathione, our most powerful detoxifier and antioxidant. Your body can only excrete mercury when it’s bound with glutathione. The polymorphism of the gene that controls the enzyme glutathione-S-transferase (GSST) prevents excretion of mercury. When that happens, the mercury stays in tissues and does damage. Mercury also binds to key enzymes that help us produce glutathione, in effect helping itself accumulate in our bodies. Research also shows people suffering from symptoms like fatigue, irritability, mood disorders, poor concentration, headaches and insomnia due to their amalgam fillings are more likely than their peers to have the apolipoprotein E 4 (ApoE 4) gene. ApoE 4 is known as the “Alzheimer’s gene.” Among its problems, this gene promotes heart disease and reduces detoxifying activity. This means that people with this gene can’t get rid of mercury from their brains, contributing to its toxic effects on this organ. I think I’m toxic. How can I eliminate mercury in my body? Identifying mercury problems and detoxifying from them (or any other kind of heavy metal poisoning) has to be done carefully and under the supervision of a physician trained in the techniques of metal detoxification, but it can be done safely and effectively with an educated doctor’s assistance. 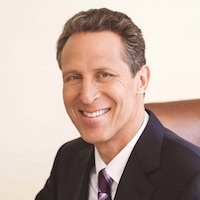 Look for a functional practitioner who specializes in metal detoxification. Lindh U. Removal of dental amalgam and other metal alloys supported by antioxidant therapy alleviates symptoms and improves quality of life in patients with amalgam-associated ill health. Neuroendocrinology Letters 2002; 23(5/6):459-482. Stejskal V. Metal-specific lymphocytes: biomarkers of sensitivity in man. Neuroendocrinology Letters 1999;20:289-298. Sterzl I., et al. Mercury and nickel allergy: Risk factors in fatigue and autoimmunity. Neuroendocrinology Letters. 1999; 20: 221-228. Prochazkova, J., et al. The beneficial effect of amalgam replacement on health in patients with autoimmunity. Neuroendocrinology Letters. 2004; 25(3): 211-218. Stejskal, J. and Stejskal, V. The role of metals in autoimmunity and the link to neuroendocrinology. Neuroendocrinology Letters. 1999; 20: 351-364. Holmes, A.S., et al. Reduced levels of mercury in first baby haircuts of autistic children. International Journal of Toxicology. 2003. 22(4): 277-285. Wojcik, D.P. et al. Mercury toxicity presenting as chronic fatigue, memory impairment, and depression: Diagnosis, treatment, susceptibility, and outcomes in a New Zealand practice setting (1994-2006). 2006. Neuroendocrinology Letters. 27(4): 415-423.